Antonio Imbasciati is a Full Member and Training Analyst at the Italian Psychoanalytical Society, and Professor Emeritus of Clinical Psychology in the University of Brescia. He has written over sixty books and over 300 papers on experimental psychology, clinical psychology, and psychoanalysis. Much of his recent work relates to the complex relationship between psychoanalysis with experimental psychology. His pioneering 'protomental theory' (elaborated in Constructing a Mind) provided a critical analysis of Freud’s metapsychology and its consequences for the ideological development of psychoanalysis. 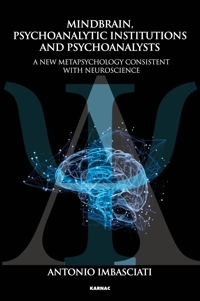 He outlined a new metapsychology in in his book From Freud’s witch to a new metapsychology: How our mind functions.